Nate Diaz gets warning for vaping cannabidiol at UFC 202 post fight conf. 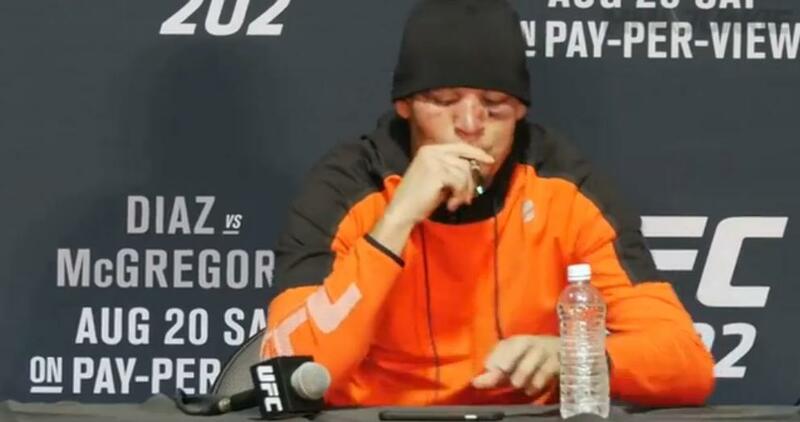 We now know what punishment Nate Diaz will receive for vaping from a pen that contained CBD oil which is one of 113 active cannabinoids found in cannabis, at the UFC 202 post fight press conference. The U.S. Anti-Doping Agency launched an investigation into the matter last back in August. Diaz “has admitted using a prohibited substance during the in-competition period and has accepted a public warning for his policy violation,” according to a press release issued today by USADA on its website. The Nevada State Athletic Commission (NSAC) which oversaw the contest, declined to punish Diaz stating that he had already taken an in-competition drug test. Based on these circumstances, USADA determined that a public warning was an appropriate response to Diaz’s use of a specified substance during the in-competition period. Earlier in the night, August 20, Diaz lost via decision to Conor McGregor in one of the most exciting fights of the the year. Diaz still faces disciplinary action from the NSAC for the antics both he and McGregor caused at the pre-fight press conference where water bottles and cans of Monster Energy were thrown.